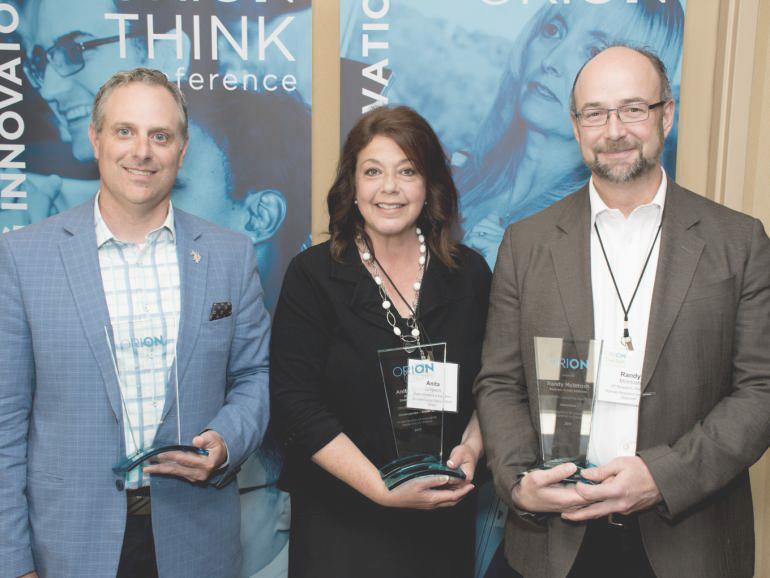 TORONTO, May 24, 2017 – ORION is pleased to present three exceptional leaders in Ontario’s research, education and innovation community with the 2017 Leadership Awards at a ceremony today at ORION’s annual THINK Conference. These outstanding leaders leveraged ORION’s unique digital infrastructure and specialized services to enable pioneering projects that contribute to Ontario’s innovation economy. 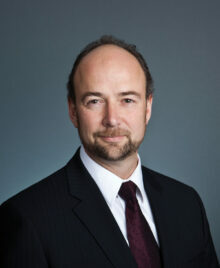 Randy McIntosh is the Vice President of Research and Director of the Rotman Research Institute at Baycrest Health Sciences and Professor in the Department of Psychology at the University of Toronto. He is awarded the 2017 ORION Leadership Award in Innovation for his work leading the Virtual Brain project, an integrated computer model of a fully functioning human brain. Researchers amongst 12 institutional partners across three continents collaborate on this international project by sharing and analyzing large sets of brain imaging data. Download bio and photo. Anita Simpson is awarded the 2017 ORION Leadership Award in Kindergarten to Grade 12 (K-12) Education for her work in leading innovative blended learning at Simcoe County District School Board (SCDSB), including establishing the first Principal of Innovation and Program and Innovation Department as Superintendent of Program and Innovation with the SCDSB. 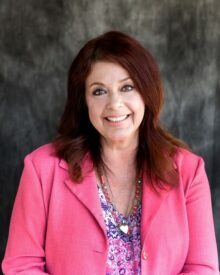 She also led the Canadian Cluster for New Pedagogies for Deep Learning (NPDL), an international learning lab involving seven countries and over 1000 schools from around the world. Download bio and photo. 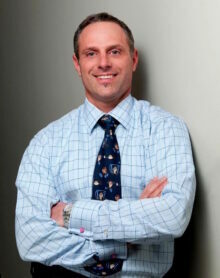 Stéphane Lévesque is Vice-Dean Research and Founding Director of the Virtual History Lab (VH Lab) in the Faculty of Education at the University of Ottawa. He is awarded the 2017 ORION Leadership Award in Higher Education for his leadership of the VH Lab, the first research centre in Canada to study the on-line learning experience of history. The VH Lab allows universities, research institutes, school boards and libraries to better understand the online learning experience through collection and analysis of vast amounts of data generated by online learners on this platform. Download bio and photo. ORION’s Leadership Awards are an annual recognition of outstanding achievement and innovation using the ORION network and cloud services. The awards are based upon nominations from ORION’s user community across Ontario, evaluated by ORION’s Leadership Award committee. ORION is Ontario’s only provincial research and education network. Covering 6,000 kilometres, it connects institutions and regions all over the province, including more than a hundred universities, colleges, hospitals and research institutions, as well as the majority of Ontario’s school boards. More than two million researchers, educators and innovators rely on ORION to share and communicate with each other and to connect to a global grid of similar networks across Canada and around the world. ORION is one of the 12 provincial and territorial network partners, together withCANARIE, which form Canada’s National Research and Education Network (NREN). This powerful digital infrastructure connects Canadians to national and global data, tools, colleagues and classrooms that fuel the engine of innovation in today’s digital economy. Research-related activities on the ORION network directly contribute $4.4 billion to Ontario’s GDP.